e3D Technology specializes in projects related to real-world shapes, sizes, orientations, and alignments. Our services are based on three fundamental and closely-related components –Measuring, Modeling and Analysis. As experts in all aspects of our service components, we customize every project to find the optimal way to solve your dimensional challenges. 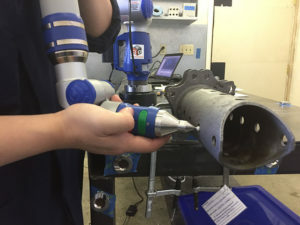 Reverse engineering, inspection, and alignment services demonstrate just a few examples of how the three fundamental service components can be combined for specific requirements. The Measuring component of our services allows us to capture 3D information defining the form, orientation, and dimensions of real world objects. With our laser tracker and portable coordinate measuring machine, we can collect and analyze data with real-time digital readout at accuracies up to 30 microns. With our laser scanner, we can measure the boundaries and contents of large areas and objects like machinery spaces and vehicles at sub-millimeter accuracy. The Modeling component of our services allows us to characterize objects in 3D. These computer models can be used to manufacture new parts or to provide a reference for design modifications. The models can be virtually assembled for further analysis. 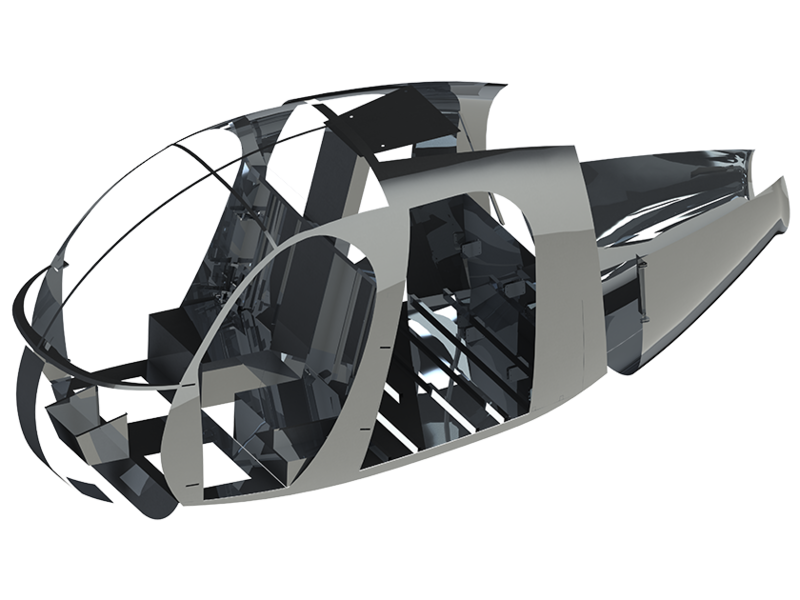 We have modeled complex aircraft surfaces, as-found marine components and compartments, and intricate pump impeller geometries. The Analysis component of our services allows us to perform various complex engineering and inspection analysis tasks. Depending on the project, this may address: applying Geometric Dimensioning & Tolerancing (GD&T); detecting clashes and interferences; checking curvature and symmetry; and identifying fit issues and physical misalignments. 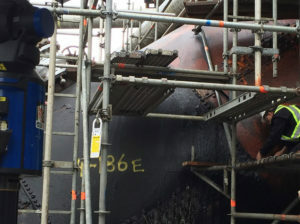 Measurement is e3D’s area of expertise – with projects ranging in size from small aircraft parts, to navy submarine hulls, to hydroelectric dam penstocks, to grand blocks of ships. With measurement experience in a wide variety of industries since 2005, along with an engineering problem solving approach to every job, we are able to confidently solve even the most difficult dimensional tasks. 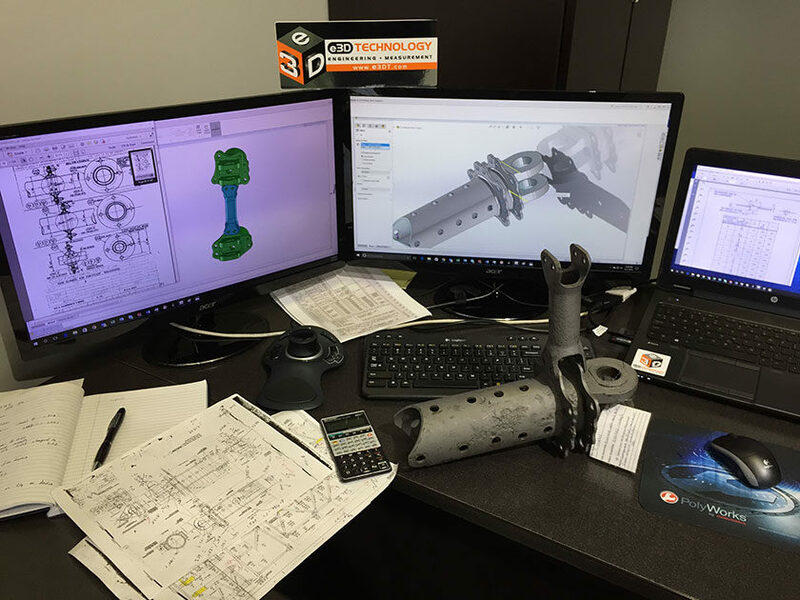 The required data density, accuracy, resolution, and overall project scope all are factors when considering the right measurement tool for the job, so contact e3D today so we can chat about your project and the best way to tackle your unique challenges! 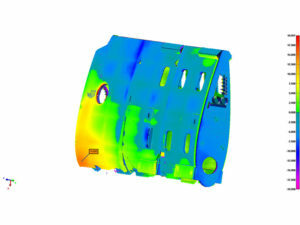 The majority of computer modelling e3D does is in the field of reverse engineering: creating a 3D model of measured components or spaces using a variety of software packages. This modelling can get extremely complex when imperfections need to be duplicated – requiring an in-depth understanding of surfacing, the strengths and weaknesses of each CAD function, and how multiple software packages can work together to get the best result. Due to the high degree of complexity that e3D is used to, our staff is comfortable with any design challenge. 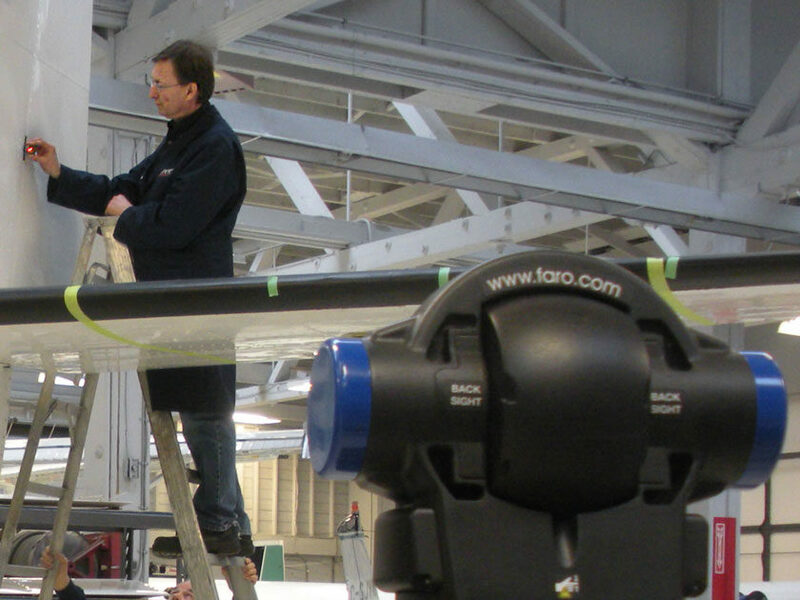 We have worked on complex aircraft surfaces, as-found marine components and compartments, and intricate pump impeller geometries. If you have a part or space you would like digitized (reverse engineered), a complicated drawing you would like a 3D model of, or anything in between, e3D is up to the task! At every step of our workflows, we are analyzing measurement data, error checking, and recording environmental factors on measurement accuracy. Depending on the job, our in-depth analysis can take a number of forms: inspection report writing, detailed colour plots of CAD models, clash detections, curvature analysis, symmetry checks, and detailed engineering reports. We can also use our equipment and expertise to troubleshoot dimensional problems like alignments and fit issues. In our Service Example of Reverse Engineering, we focus our Measuring and Modeling services to create computer models of physical components. Depending on the project, we can exactly duplicate a measured object or recreate the design intent. e3D engineers understand the modeling complexities and software combinations to produce the best result for each application. In our Service Example of Inspection, we focus our Measuring and Analysis services to determine conformance of parts or assemblies to specified dimensions and tolerances. Using Model Based Definition, drawings, or inspection checklists, we can perform inspections involving complex analyses such as Geometric Dimensioning and Tolerancing (GD&T). 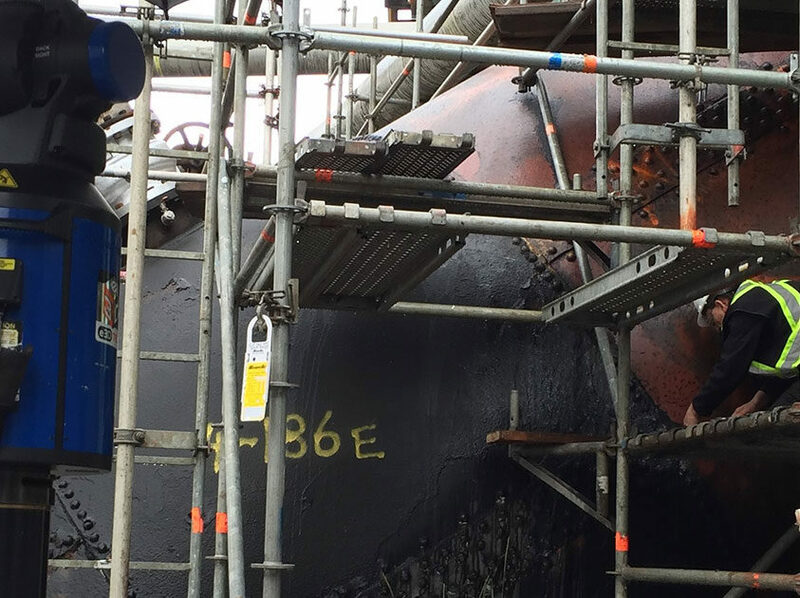 When tolerances are exceeded, our engineers work with clients to determine the underlying cause of the defect and to recommend corrective action. In our Service Example of Alignment, we focus our Modeling, Analysis, and Measurement services simultaneously to assess the relative locations of objects. We create a 3D computer model of the alignment features, measure them to determine misalignment, and adjust them using real time digital readouts. Unlike traditional techniques, we can identify and compensate for sagging, twisting, and form errors during the alignment. Often, it is necessary to understand the exact size and shape of an existing object or equipment space for purposes such as duplication, manufacturing, archiving, and/or layout. We can digitize parts and create models that can be read into leading CAD applications. Also, e3D can combine your as-designed models and drawing information with reverse engineered data to assess fit uncertainties, detect clashes, complete virtual alignments, and assist in accurately locating references or templates to lay out the objects in the real world. We perform inspections to determine if an object conforms to specified dimensions and tolerances. We have expertise in the measurement and analysis of geometric dimensioning and tolerancing (GD&T) and in working with Model Based Definition products. Since our equipment is capable of 3-dimensional measurement over large distances, we can easily determine if equipment components are parallel or perpendicular to each other and if there is any evidence of sagging or twisting. Most Quality Systems require periodic inspection or calibration of equipment and tooling. This poses difficulties if the equipment or tool is too large to be easily moved or if it won’t fit on a coordinate measuring machine granite table for inspection. We perform periodic inspection and calibration on difficult-to-measure equipment and manufacturing tooling. Since our measuring systems are portable, we can precisely measure large objects that are not easily moved. Using our laser tracker, we can build jigs & fixtures to precise tolerances. For companies that have their own tool building expertise, we can provide laser tracking support to allow 3D real-time measurement and assembly of tooling details.